PCTEL PCTHPMIMO-SF platform enables high data rate connectivity for fleet, rail, mass transit, public safety, and M2M applications. 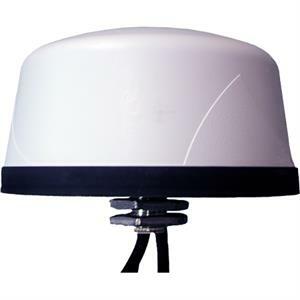 Each low-profile antenna model supports dual-band 2.4/5 GHz MIMO for 802.11n and 802.11ac WLAN standards, combining multiple antenna elements into one IP67-rated housing. A single stud mount cable exit simplifies permanent installations. Black or white radome options are available. This platform is also available in magnetic mount configurations.